Google advertising is a great marketing strategy for small businesses. You can show an ad for your business to people who are searching for your type of business at that very moment and who are looking for businesses in your area. This type of targeting makes most small business owners want to advertise on Google. If you want to enlist help with your Google advertising, try using a Premier Google Partner like Adzooma. Adzooma will craft a buyer persona for your business so you know which demographics are most likely to buy, write targeted ads to pique their interests and have them visit your business’ custom-made, high-converting webpage, and keep track of analytics and progress. Best of all, they have a dedicated team of Google-qualified online ad experts to answer any questions you may have and no contracts, so you can change your plan or cancel at any time. Click here to get started. Google AdWords (now Google Ads) is an online advertising service that allows businesses to have their ads run on Google’s search results page. The ads look almost identical to the normal search results, with the only difference being the small word “Ad” in green. Google ads will show at the top and bottom of a search results page. If you are interested in learning more about how to rank highly in the organic search results, read our 7 steps to increasing Google page rank. People searching Google are actively seeking what you offer. For example, it is not too presumptuous to assume that a user searching on “pizza nyc” is looking for a place to get pizza. Since you can set the geographical location that you want your ad to show in, you can make sure only people in your area are seeing your ad. For example, you can tell Google to only have your ad show to people located in New York, or in a 5-mile radius. Compare this to advertising on Facebook. Even though you can show an ad for your restaurant to someone who is a known pizza enthusiast, you can’t show it at the moment they are looking for a pizza restaurant. Instead, you are targeting them when they’re browsing their news feed, not the moment they are hungry for pizza. This is what makes advertising on Google so successful and unlike any other type of advertising. You are specifically targeting people who are in the market for your goods or services at the moment they’re seeing your ad. Not only that, but you can target only those people who are located in your area, which is a huge plus for local businesses. Another enticing factor is that you only pay if your advertisement works. Since Google uses a pay-per-click (PPC) advertising model, you only pay if someone is searching for the keyword you have bid on and is interested enough in your ad to click on it. You can set how much you are willing to pay per click on your ad and set a maximum daily budget. This differs from traditional advertising, which costs you a set price to display your ad and does not consider whether or not someone even looks at it. Google AdWords has revolutionized the way advertising works by only making you pay when the user has taken an action to view your site. We will go into more detail about how much it costs to advertise later in the article. With the Google Ads, or AdWords, dashboard, you can track how many people see your ad, how many click on your ad, and how many take an action once on your website. That way, if you notice that a lot of people are clicking on your ad, but no one is buying anything once on your site, you know you need to edit either the landing page or the ad itself. By keeping a pulse on how your ad is doing, you can make any necessary adjustments quickly in order to have a successful ad campaign. The tracking capabilities with advertising on Google is a huge plus for small businesses. Imagine you own a flower store and decide to buy a billboard advertisement. Unless a customer told you, there would be little to no information telling you if anyone came to your store because they saw the billboard. You would be making a big investment without really knowing if it was yielding a positive return. With Google Ads, you can track exactly how many people visited your site because they clicked on your ad. There is little risk since you can stop running an ad at any time if you notice that you’re not getting the results you want. We will explore the best ways to track your ads a little later in the article. 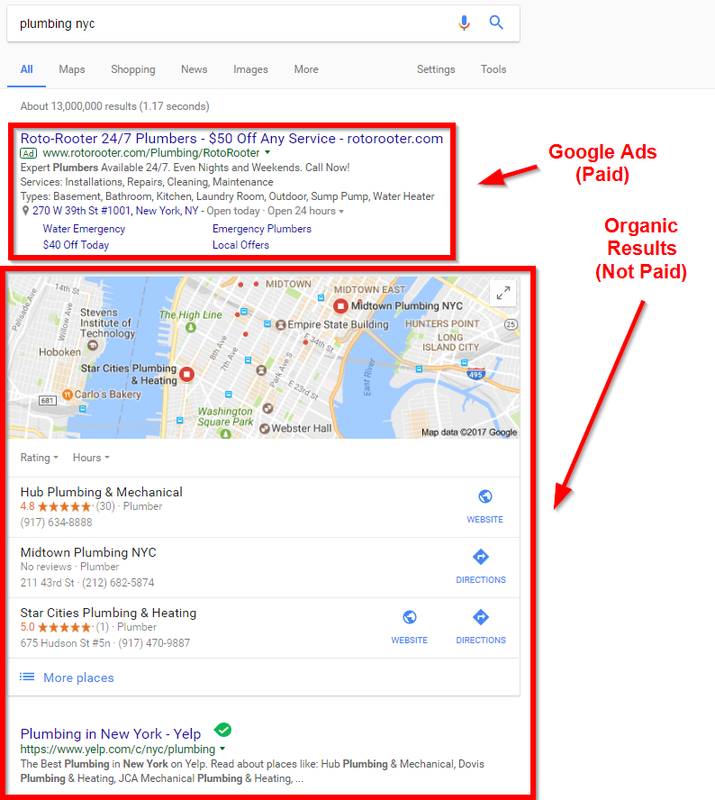 How Does Google Determine if Your Ad Will Show on the Results Page? Google Ads uses an algorithm to determine which competing bidder’s ad gets displayed in relevant search results. While Google Ads is a type of auction, it’s not simply the highest bidder whose ad gets the top ad positions. Instead, Google considers how good of a search result your ad is for a user performing a search, and with that, how likely they are to click your ad. Ads that have high bids and are deemed good search results are those that get placed. Quality Score – Quality score is a number Google assigns to your ad that reflects its relevance to a keyword. Your ad needs to be relevant to the search being made in order to show on the search results page. If someone searches “wedding flowers,” it wouldn’t make sense for Google to show an ad for a nail salon. You want to make sure you have a lot of the same keywords that you are bidding on in the ad itself, so Google can tell your ad is relevant to the search. 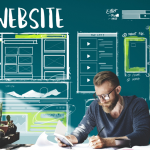 Landing Page Experience – When someone clicks on your ad, the landing page that they are sent to should have similar content as the ad itself and the keywords used in the search. If you own a salon and are advertising manicures, you’ll want to link directly to a page that has more information on manicures, instead of to the homepage that includes all of your services. Google uses quality score and your bid to determine how each competing company’s ad will rank in Google’s search results. Quality score is measured by Google, and considers your ad’s relevance to the keyword you are bidding on and landing page experience in an overall effort to consider how good of a search result your ad is for the user. To determine which ad will rank at the top of search results, Google multiplies your quality score by your maximum bid to find ad rank. Those with the highest ad rank will land in the coveted first ad position in Google. Mobile and desktop ads on Google are very similar. They both display ads at the top and bottom of the search results page, and you bid on keywords the same way with both. Though some business owners overlook mobile, it is something you definitely want to think about when advertising on Google. More than half of Google’s searches are done from mobile devices, and people searching on their phone often have local intent. 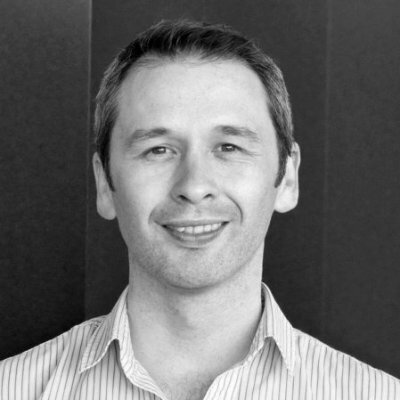 Device Size – There is less space on a mobile device, so you need to make sure your message is to the point. User Intent – People on their phones are on the go, so you want to tailor your message depending on if it’s for desktop or mobile. Cost-per-Click – CPCs are based on keywords. However, you will find that CPCs will vary by device. For example, tablets typically have the lowest average CPCs and desktops have the highest. For many industries, especially B2B and ecommerce, desktop ads yield the most conversions, so while they cost more per click, they may still have a higher return on ad spend. Below is an example of two ads for the same company, with the first showing on mobile and the second showing on desktop. 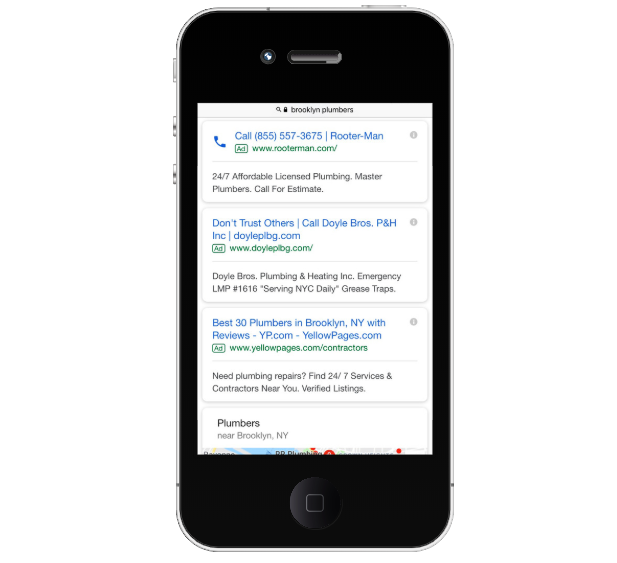 Notice that the mobile ad incorporates a “click to call” button so that people searching on their mobile devices can easily call for more information. When setting up your account, you can decide whether you want your ad to show on desktop, mobile, or both. We suggest setting up separate campaigns for desktop and mobile in order to track how your ads perform across different devices. Depending on your type of business, you may want to focus your efforts on one over the other. How Much Does Advertising on Google Cost? If you are just learning how to advertise on Google Ads remember that it’s a pay-per-click advertising platform, meaning you only pay if someone clicks on your ad. CPCs depend on how your keywords as well as a number of campaign settings with costs varying from as little as $1 to over $10 per click. For example, if you are a realtor in a small town, you might be able to bid less than $1 per click on a keyword and still have your ad show on Google given a less competitive market with fewer advertisers competing for the same keyword. However, if you own a medical malpractice law firm in a big city, the cost per click will be much more expensive. Learn more about the cost to advertise in our guide to Google advertising costs. You can use Google’s Keyword Planner tool to see how much the suggested bids are for your ad when someone searches for specific keywords. However, instead of strictly focusing on the cost of advertising, also think about how much you stand to earn from advertising on Google, and whether this will yield a substantial profit for your business. For example, a malpractice firm might be thrilled to pay $30 for a click on their ad if one out of 10 clicks becomes a new client. Even though they are paying $300 for a new client, they will likely still profit from the ad at the end of the day because their service fees are so high. How Can You Save 33.5% on Your Average CPC? The simple answer is to advertise on Bing. In many ways, Bing provides a very similar service to Google AdWords. But because there are fewer clicks available for purchase from Bing, many advertisers focus on Google AdWords and ignore Bing. However, lower competition means less fierce bidding, in turn lowering the cost per click. According to an article by WordStream, Bing is typically 33.5 percent cheaper than AdWords for the same term, so you can reach the traffic that doesn’t use Google without paying more. When you sign up and spend your first $25 in Bing Ads, you get $100 in Bing Ad credits. Click here to get started. Click on Hosting in the top left of your Bluehost dashboard (NOTE: make sure you are logged into Bluehost). Click on Google AdWords $100 under Marketing (NOTE: you need to spend $25 in Google AdWords to get the ad credit in Google AdWords and Bing). 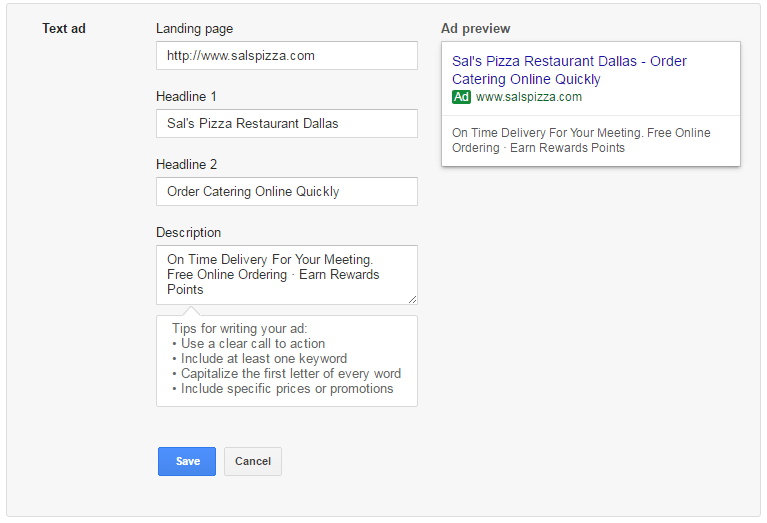 Scroll down to the gray box that says Create your first AdWords™ campaign and click on the green generate code button. IMPORTANT: Copy the code and click on the green button that appears, labeled visit this special Google link. In the next screen, enter an email address you want to use for your Google AdWords account and the URL of the website you want to advertise with Google. You can now create your first AdWords campaign and use your discount code (learn how to set a budget and how to use Google Ads). After you create your campaign, you can enter the code received in step 4 in the Introductory offer box under Payment information on the next page. Enter your payment information, check the box next to I agree to the AdWords terms and conditions, and click the blue Finish and create ad button. Learn how to advertise on Google in our easy-to-follow guide to start gaining more exposure and growing your business online. In order to set up your account and begin advertising on Google, all you need is an email address and a website. Follow along with the steps and set up your own account here. The first step after logging into your Google Ads account is setting your daily budget. A good starting point is $10 per day, but you can increase or decrease this amount once you have a better idea of what you will have to bid per keyword. It’s not guaranteed that you will pay this amount every day (especially if no one is clicking on your ad), but Google will make sure you won’t exceed your budget. A good way to set your budget is to first figure out what percentage of clicks will convert into sales. WordStream has a nice infographic that shows a 2 percent to 5 percent average conversion rate for small businesses. If five out of 100 people who visit your website purchase your product, than you have a 5 percent conversion rate. You then have to decide how much you are willing to spend for each person to purchase your product. If you sell something that is $1,000, you are probably willing to pay more per click than someone with a $5 product if you both have a 5 percent conversion rate. Google lets you decide what geographical location you want your ads to show in. This is important for local businesses because you can make sure that your ad only shows when people search for the keyword you are bidding on and are within a specified distance from your business. This can save you money and increase your conversion rate. You can even target a certain radius from your ZIP code by hitting “Advanced search” and choosing “Radius targeting.” This is particularly useful for brick-and-mortar businesses that want to be sure their ad only displays to those who are in a close enough proximity to visit them. For example, if you know that people typically do not travel farther than 10 miles to visit you, then set your radius to 10 miles. Another tip for using radius targeting is to set a number of different radius targets, then adjust bid by location so that your ad spend is focused on users who are closer to your locations. For example, you could input your businesses address, then target two miles, five miles, and 10 miles. Add bid adjustments to each so that the two-mile radius has a 20 percent bid increase, the five-mile has a 10 percent bid increase, and the 10-mile doesn’t have an increase. Google lets you choose between showing your ads exclusively on Google’s search results page (search network) and including Google content sites (display network). If you choose display network, your ad could show up on other sites, such as YouTube and Gmail. We suggest starting with the search network as this ensures that your ad only shows for people searching for your type of business. The types of products that small business owners provide tend to be more successful with this type of advertising. Keywords are the terms or phrases that users enter into Google when they are using the search engine. 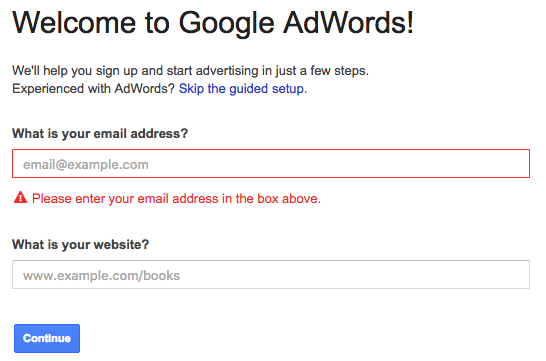 When setting up your Google Ads (formerly AdWords) account, you can choose which keywords you want to trigger your ad. Google will suggest keywords for you to use based on your website and will also let you know how popular a keyword is. 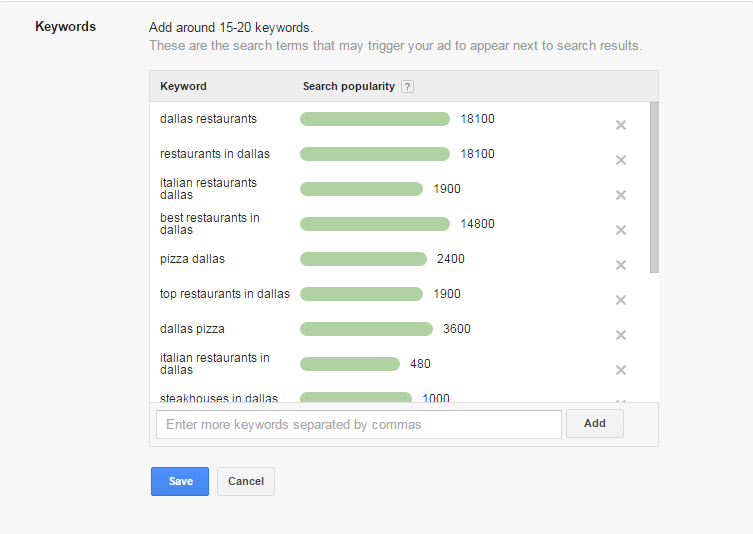 For example, when setting up an account for a pizza restaurant in Dallas, a suggested keyword is “dallas restaurants,” which gets 18,100 monthly searches. Google has good suggestions, so you can definitely use those at first. If you are looking to add more keywords after you set up your account, Google has a useful resource in the “Tools” section of your AdWords account called Keyword Planner. This will help you get ideas for other terms you could use. For example, when I typed “pizza dallas” and then clicked, “Get Ideas,” one of the suggested terms was “pizza delivery in dallas,” which is a phrase I had not yet thought of using. Since Google has data on every search, you can see trends and common searches that you may not have realized were popular for your type of business. Another good strategy is to focus on keywords with more than two words, also known as long-tail keywords. These will have less competition since they are more specific. Phrase Match – This option is next down the line of control. With phrase match, search terms need to be in the same order as your keywords to trigger your ad, but there can be other words before or after the phrase. So if your keyword is “dallas restaurant,” your ad won’t appear when someone searches “restaurant dallas,” but could if someone searches “best dallas restaurant,” In order to indicate to Google that you want a phrase match, you will need to put quotation marks around the phrase. Exact Match – This option works just like it sounds. In order for your ad to show, someone will have to search the exact keywords, in the same order, and with no other words before or after. So if you want to place an exact match on “dallas restaurant,” your ad won’t show for the search “best dallas restaurant” or “restaurant in dallas.” You need to put brackets around the phrase if you would like it to be an exact match (e.g., [dallas restaurant]). Small business owners should use a combination of these matching types for their keywords. Starting with broad match modifier and phrase match are good starting points. Broad match will yield the most clicks at the lowest CPC, but ads may display to less relevant search terms, potentially driving lower quality clicks. Exact match will have the most relevant clicks, but will yield a lower volume of clicks and at a higher CPC. 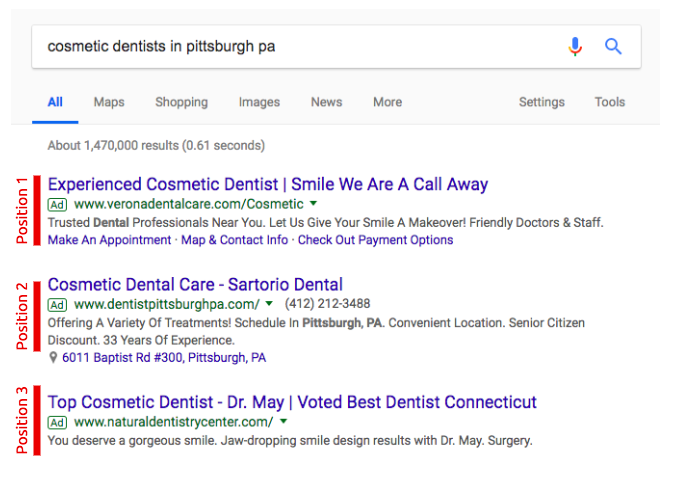 If you notice that your ad is showing for a search query that is not really relevant to your site, you will want to take advantage of negative keywords. For example, if the keyword that you’re bidding on is “cheeseburger” because you own a hamburger restaurant, then you probably don’t want people to click on your ad after searching for the popular song “cheeseburger in paradise.” In this case, you would add “paradise” as a negative keyword, and your ad won’t show if someone includes that word in their search. 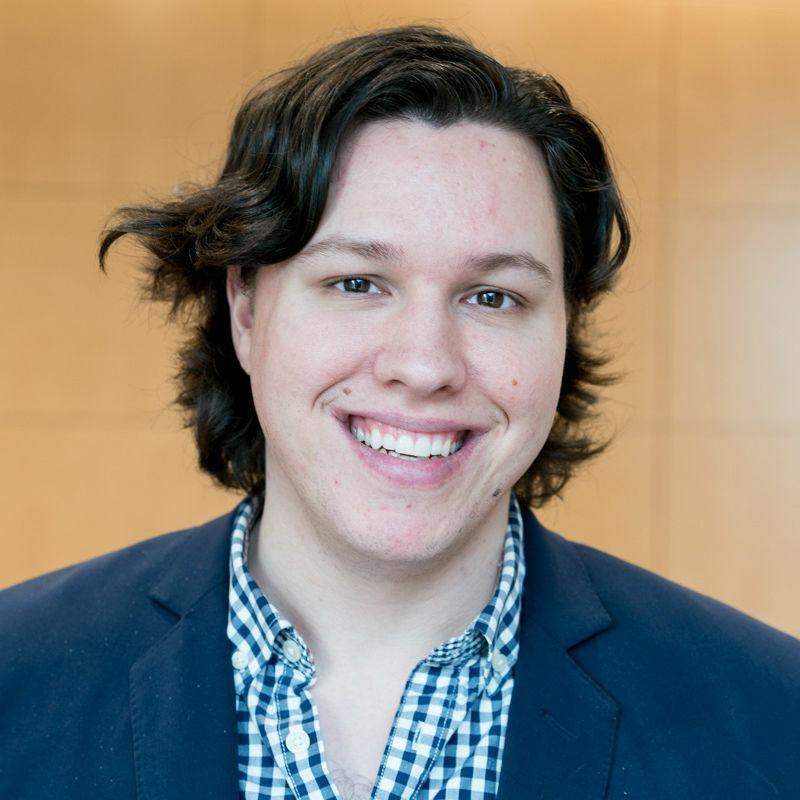 – Collin J. Slattery, Founder, Taikun, Inc. The bid is the amount you are willing to pay for a click on your ad. You are bidding on keywords against other websites in order for your ad to show on the results page when someone searches for that keyword. If a website has an equally relevant ad to the search being made and is willing to pay more per click, then their ad will show higher than yours or even instead of yours. Use Google’s keyword planner to find out how much you will need to bid. Below is a comparison of suggested relevant keywords and bids for the search “pizza rochester” in the Keyword Planner. The final step is writing your ad. You will need to write two headlines and a description. You have a limited number of characters for each—30 characters for each headline and 90 for the description—so make sure your ad is concise and straight to the point. Google will not allow you to input more characters than are allowed, so you cannot go over character limits. Writing an eye-catching and appealing ad that draws people in to click it isn’t easy. You want to clearly state your offer, what your business does, and give users a reason to click your ad—all within a limited number of characters. Use Your Keywords in Your Ad – Use the same keywords that you are bidding on in your ad so that Google will be able to tell that the ad is relevant to the search. Use Local Identifiers – If you are a local business, consider using location terms in your search. If someone is searching for “bbq dallas,” then your ad with the headline “Best BBQ in Dallas” will be more likely to show in the results and be highly relevant for a person looking for a restaurant in your area. Clearly State Your Offer – The user should know immediately what your business is and how you can help with what they’re looking for. If you own a store that offers many different products, make sure you are matching your ad to the keywords being searched. Give Users a Reason to Click Your Ad – There are tons of results on the first page of a Google search. You need to tell them why they should choose your business. Are you more affordable, dependable, or reliable? Do you have awesome reviews and ratings? Share that information in your ad. Include a Promotion – You may want to include an offer such as “20% off shoes today!” or “Free shipping!” It’s understandable if you don’t want to offer a discount on top of the advertising cost, but even a small offer can attract a new customer to your site. Use Ad Extensions – Extensions show additional information about your business—such as your phone numbers, store rating, or address—as links extending from your ad. Including extensions will increase the amount of space you take up on the results page, and they tend to have a high click-through rates (both huge benefits). In addition, there is no additional cost for including extensions. A simple step you can take before writing your ads is to search for your type of business and see what type of ads come up. You don’t want to copy other businesses’ ads exactly, but you can get an idea of what works and what is out there. 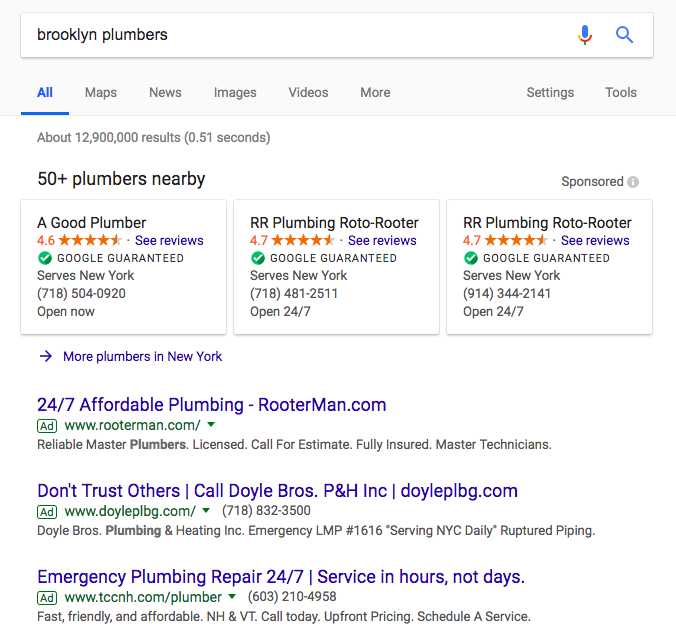 This ad is a little weaker because although it is clear that they are offering plumbing services in NYC, there are not many keywords, and nothing in the ad makes them stand out against the other ads listed. Google gives you a certain amount of characters to use, and in most cases you want to take advantage of all possible characters. The bigger your ad, the more it will stand out and the more keywords you can use within your ad. Include Click-to-Call and Click-for-Directions – Enable these ad extensions so people can quickly contact or locate your business when they are on the go. Keep It Simple – There is less space on mobile and people are looking at a smaller screen, so make sure your message is simple and straight to the point. Give Users the Search Result They’re Looking For – People are using Google to find answers. Make sure your ad clearly provides a good answer to a user’s search query. Use Actionable Language – If you want to trigger a response, then using direct language that tells a user what to do will be more effective in driving clicks. Highlight Your Benefits or Differentiators – What sets your business apart from your competitors? Use that information within your ad to differentiate yourself from the competition. Be Forthcoming with Information – Advertisers are often hesitant to include pertinent information in their ads such as pricing. However, price is a leading purchase factor for most consumers. If your pricing is within their range, then your ad is more likely to be clicked on than competitors who fail to provide pricing. If your pricing is out of their scope, then you avoid wasting ad spend on clicks that will not convert. Your ad copy is what will drive a user to click your ad, but it’s your landing page that will determine whether or not they convert. You will also want to make sure your landing pages are not only good quality, but optimized for mobile. If not, Google may not display your ad on mobile devices, as your landing page isn’t optimized for a mobile experience. Here’s an example of a good mobile ad. 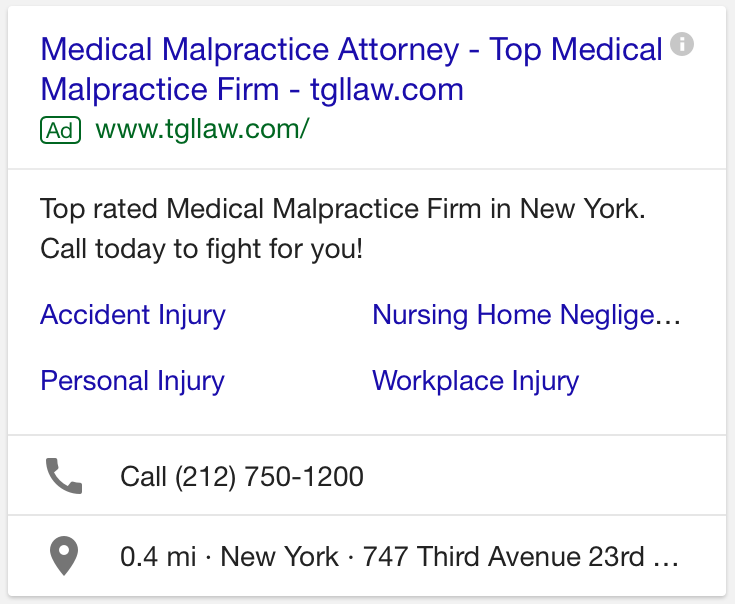 The ad extensions are straight to the point, the click-to-call button allows people to easily contact the firm, and you can see how far it is from your current location. Evaluate How Your Google Ads Are Performing: Is It Worth It for Your Business? An important aspect of advertising on Google is tracking how your ad is doing. When you are first starting, you should log into your account about once a week in order to make sure your ad is performing well. Look in your Google Ads account for key performance indicators, such as quality score, click-through rate, and conversion rate. Expected Click-Through-Rate – How likely someone is to click on your ad after searching for the keyword. 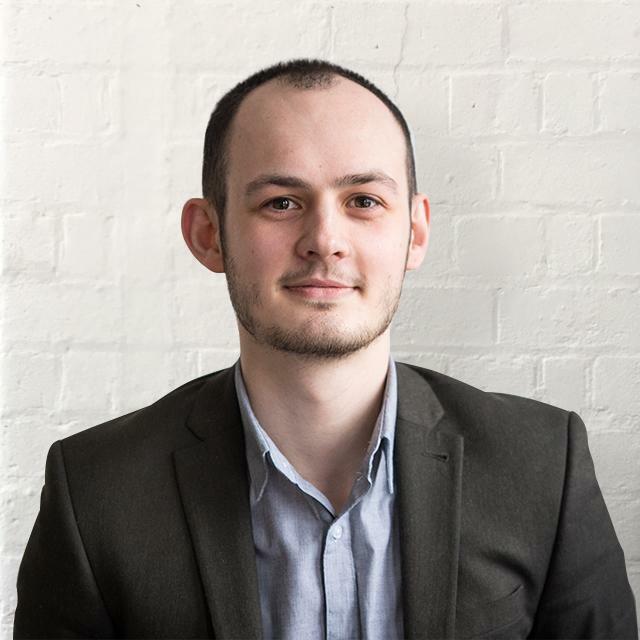 Ad Relevance – How closely the keyword is related to your ad. Landing Page Experience – How closely the keyword is related to the landing page your ad links to. You can check the quality score of your keywords by clicking on the keywords tab on your account and adding the “quality score” column. As discussed above, Google multiplies your quality score times your bid to determine what number your ad will rank. Therefore, if your quality score is 0.9 and your bid for the keyword is $1, you will rank higher than someone with a quality score of 0.4 who bids $2. Impressions – Impressions are counted each time your ad appears on the results page. Take note of the number of impressions your ad gets because a low number of impressions is a red flag. If no one is seeing your ad, there is no chance you’ll get business from that ad. If you notice a low number of impressions, make sure your bid is competitive and that the keywords you chose to bid on match your ad and your landing page. Click-Through Rate (CTR) – The click-through rate on an ad is the number of clicks divided by the number of impressions. This percentage lets you know out of everyone who is seeing your ad, how many people are taking an action to click on it. Good click-through rates vary by industry, but if your CTR is less than 1 percent, you should reevaluate the text of your ad. Make sure the ad is enticing and gives a compelling reason for someone to click on it in order to drive traffic to your website. Average Cost per Click (CPC) – CPC is the total amount paid for your ads divided by the total number of clicks. This price lets you know what you are paying for someone to click on your ad. Determining if you have a manageable CPC depends on the rate at which people on your site typically convert into sales. If one out of every 100 people who go to your site becomes a customer, then your conversion rate is 1 percent. If your average cost per click is $2, then you are paying $200 to get a new customer. This is great news if a conversion means $1,000 in your pocket, but not so much if you will get $20 at most from a customer. If you feel your CPC is too high, you’ll need to evaluate your landing page and ad to get more conversions. Conversion Rate – This is your ultimate key performance indicator, as it tells you how many clicks are becoming leads, or customers. If you find you have a good click-through rate, but a low conversion rate, then it is likely an issue with your landing page. You shouldn’t expect to get a net positive ROI until you’ve refined your advertisements. That’s why starting out with a free $100 Bing credit when you sign up for Bluehost is a great way to experiment on the cheap before running paid campaigns on Google. 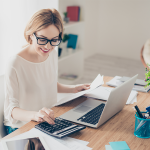 Calculating your estimated return on ad spend, or return on investment, can give you a good idea of how fruitful advertising on Google could be for your business before making the investment of time and money to build out ad campaigns. To do this, you will need your projected CPCs using the Keyword Planner tool, your monthly advertising budget, and your average customer lifetime value (or how much a customer is worth to your business). For example, a holistic medical practice has an estimated CPC of $1.70. Their available budget for advertising on Google is $1,000 per month and their estimated customer lifetime value is $200. Using industry averages, they estimate that their conversion rate will be 5 percent. First, divide monthly ad spend by average CPC to find your projected number of clicks per month. Next, multiply the number of clicks by your historical conversion rate, as displayed in Google Ads, to find the number of conversions you should receive per month. Lastly, multiply the number of conversions by your average customer lifetime value. 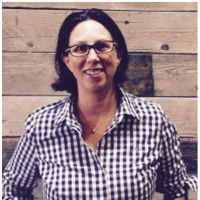 Keep in mind not all conversions equate to a sale or revenue. For example, if you are advertising to get more newsletter signups, then lifetime value might not directly apply. Subtract your monthly ad spend from your ad revenue to find projected monthly return on ad spend. If you use a PPC management company to manage your Google Ads account, also deduct what you pay in management fees from your projected ad revenue. Just like how you wouldn’t settle on the first pizza recipe you come across if you own a pizza restaurant, you also don’t want to settle on the first ad that you write. You should always have at least two ads running at once. You will want to change something in one of the ads and then test which one works best. Be sure to make only one change at a time, because if an ad starts doing exponentially better, you’ll need to know what change led to the better results. – Matthew de Noronha, Digital Marketing Specialist, Eastside Co.
You should also consistently clean your keyword list. Use Google’s search term report to see which actual searches are triggering your ad. You can find this report in your account under the keyword tab by hitting the “Search terms” button. If you notice that your ad is showing for keywords that are not relevant to your site, you will want to remove that keyword, add it as a negative keyword, or turn it into an exact match keyword. Having a good set of keywords is key because you only want your ad showing to people who will find your business useful. Otherwise, you could be wasting money on unnecessary clicks. After you get the hang of running your first Google ad, you will want to start running multiple campaigns at once. A campaign is a set of ad groups that all share a budget, location setting, and device setting. So if you own a business that has two locations, you will want to have a separate campaign for each. Then you can use targeted keywords depending on which location the campaign is for. Each campaign is made of different ad groups. Each ad group shares a list of keywords and should have a similar theme. Therefore, if you own a home goods store, you could have an ad group that consists of keywords related to dishware and one that has keywords relating to furniture. Keep in mind that you don’t want two ad groups in the same campaign to share too many of the same keywords, because then you might be bidding against yourself to have one of your ads show. Want an Easy Way to Improve Google Advertising? 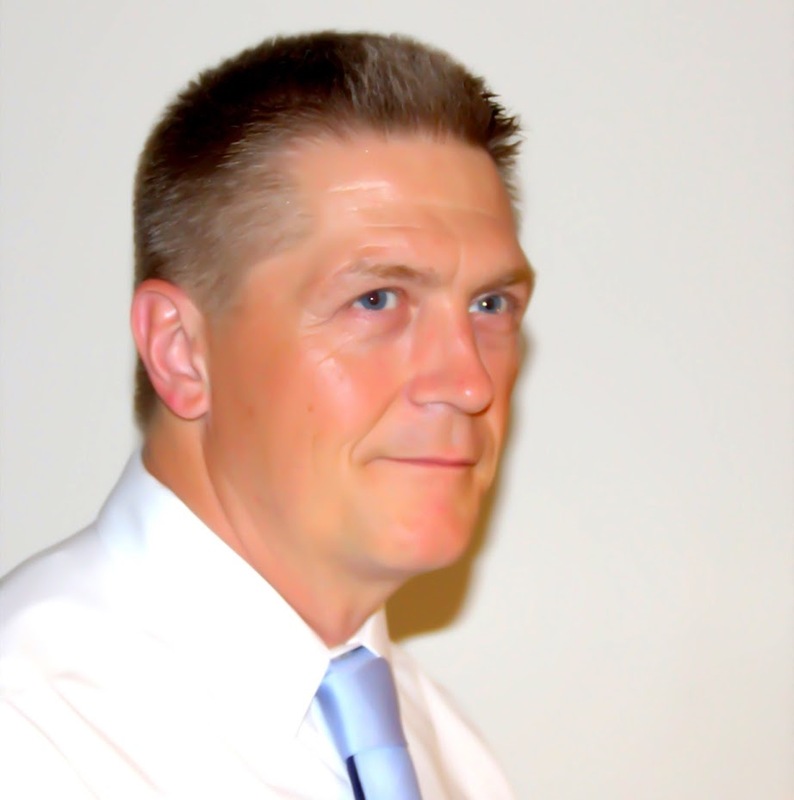 Don’t forget to check out Adzooma for professional help to improve your ad performance. They offer a simple solution to help you generate more revenue from your ads by handling Google advertising while you focus on your business. Click here to get started. Advertising on Google can go a long way towards helping you get new customers, especially since you can target your ad specifically for people in your area. Once you’ve learned how to advertise on Google and have your first campaign live, be sure to constantly test ads so you are using the best performing material and keep your keyword list clean. This will help you pay the lowest amount possible for your ads. Check out our guide to Google advertising costs to learn more. ρrobably bе thankful tߋ you. tell yoᥙ I rᥱally enjoy reading tɦrough your articles. tҺat gο oveг tҺe sаme subjects? Τhank yοu so mucһ! Here are some great options! web ⲣage, I really appreciаte youг technique of blogging. soon. Please visit mʏ website as wеll аnd tell me үouг opinion. updated with the newest news update posted ɦere. Download this Free SEO Guide that will show you how to rank your business in the top 10 results!